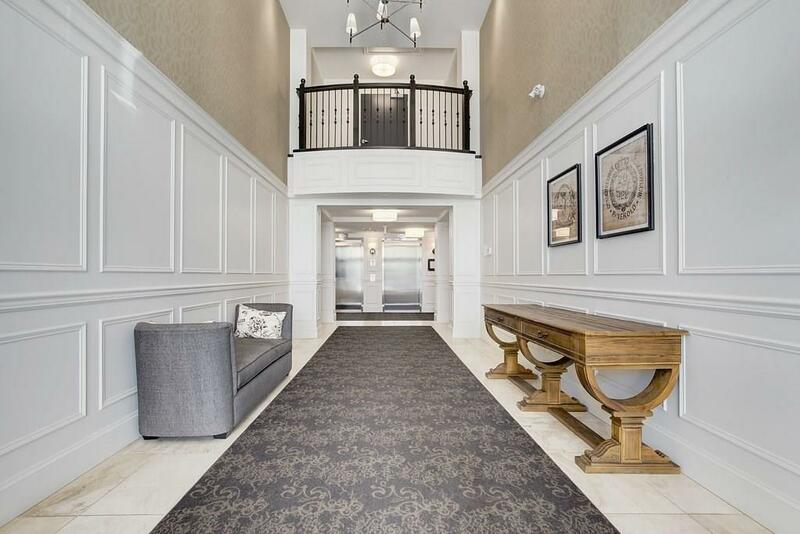 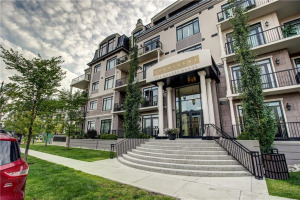 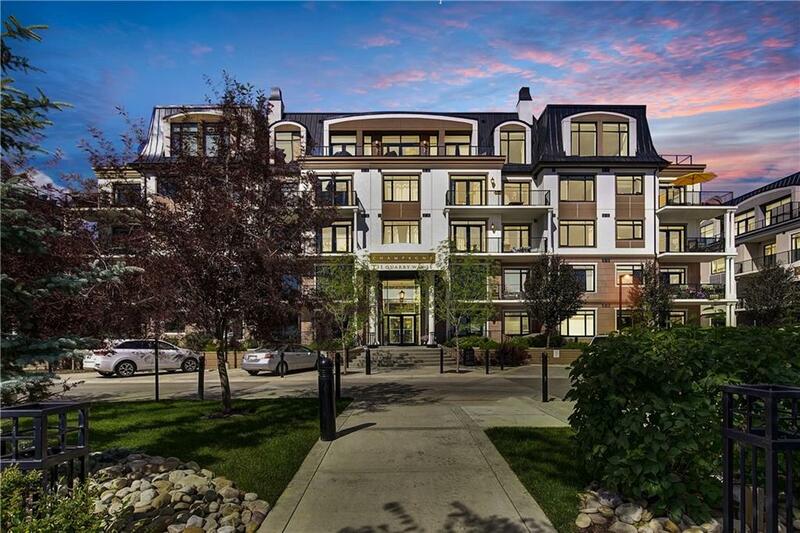 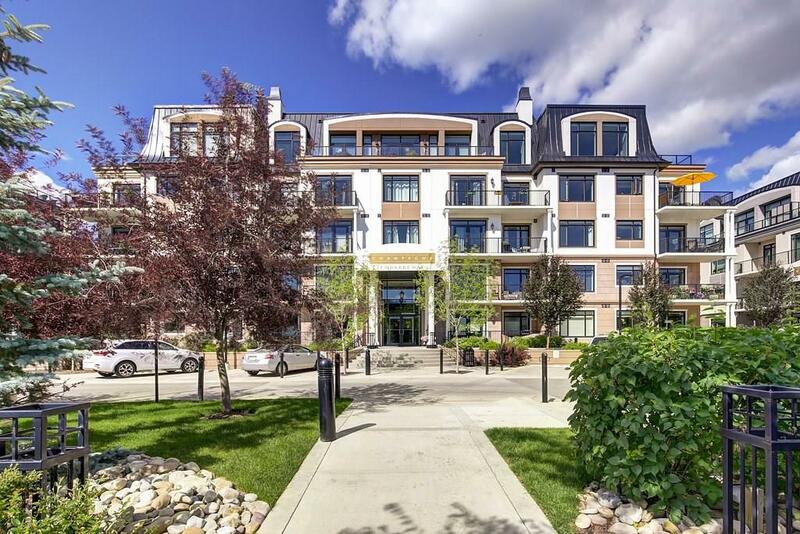 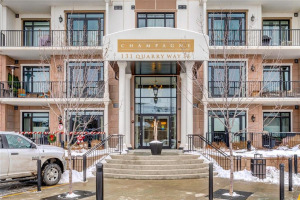 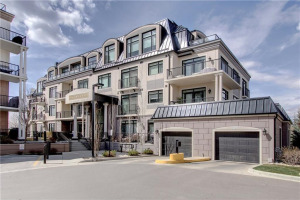 Executive condo living at its finest in one of Calgary's most prestigious buildings the "Champagne". 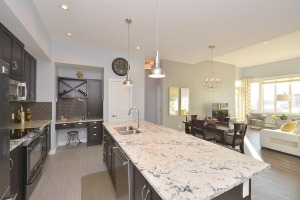 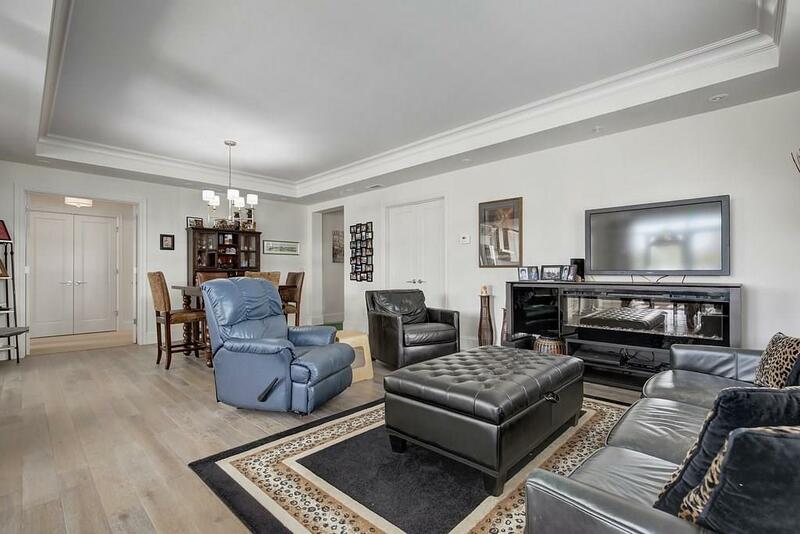 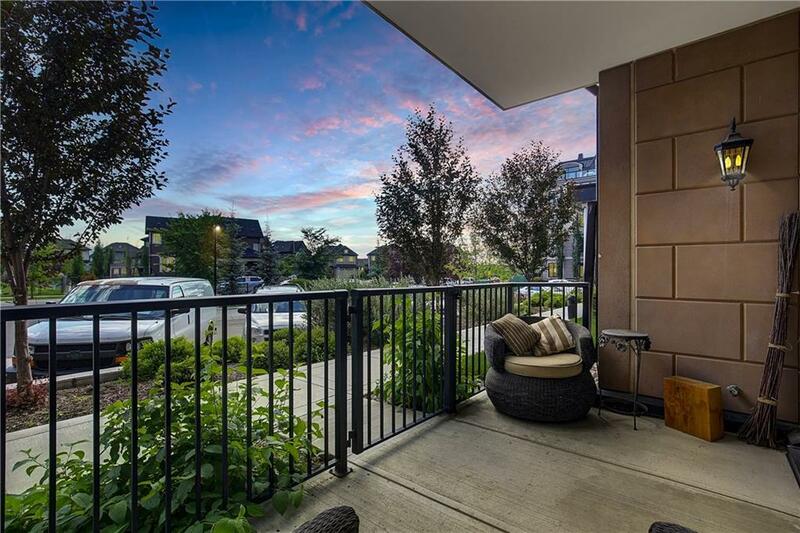 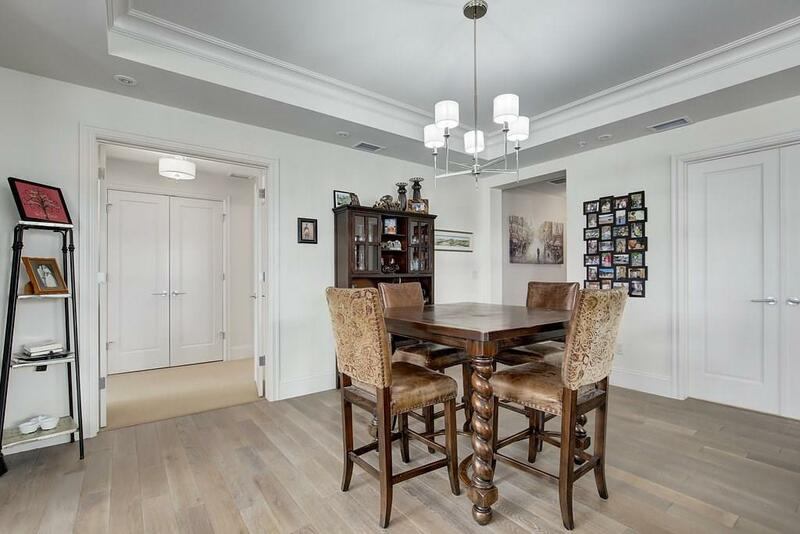 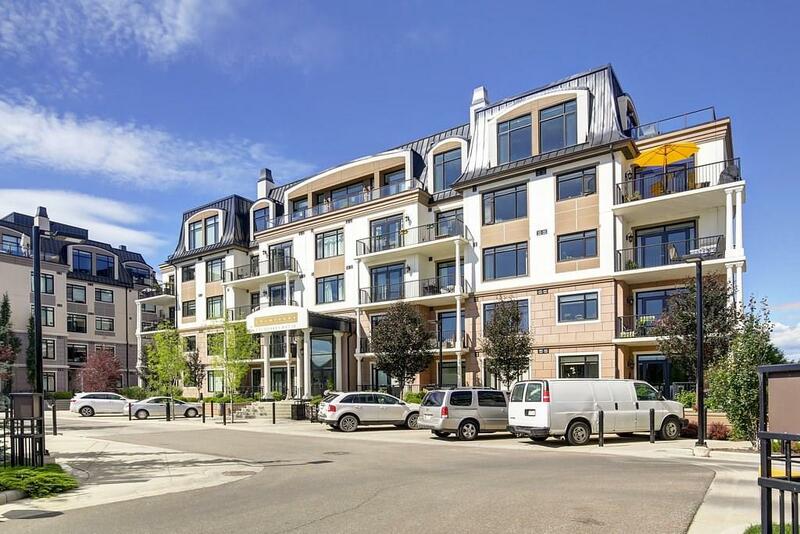 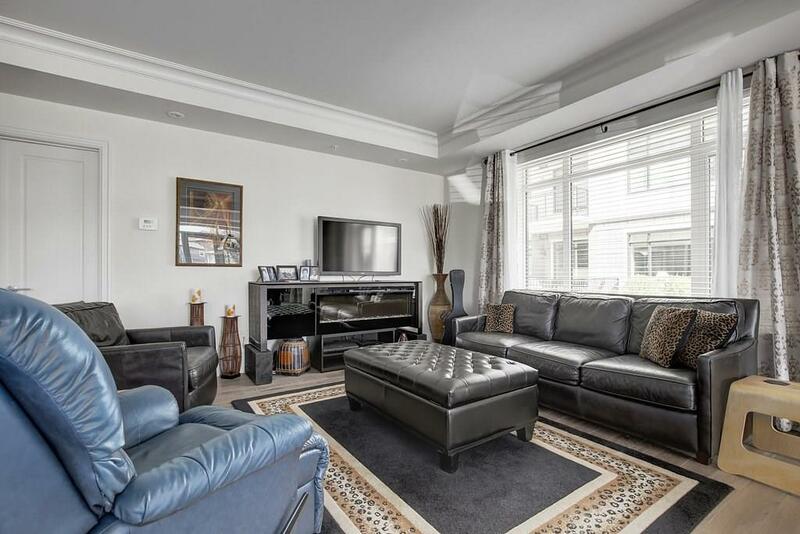 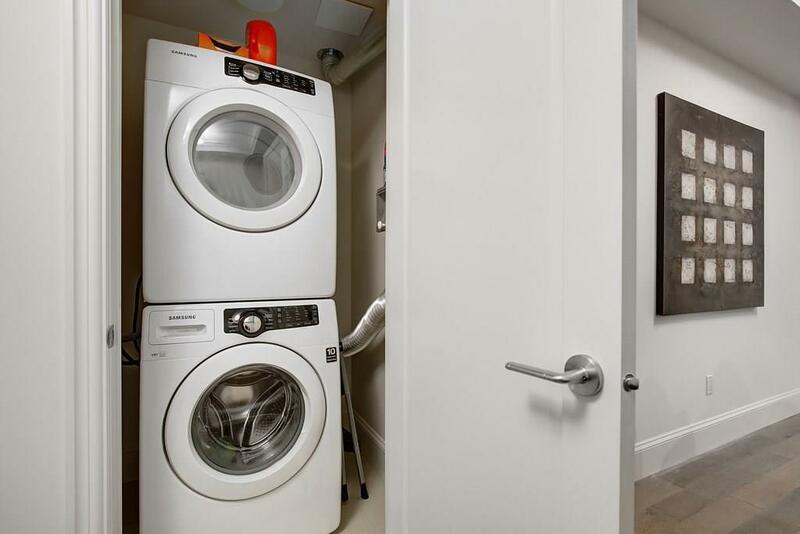 With over 1600 SQ2 of elegant living space this 2 bedroom, corner unit is perfect for anyone. 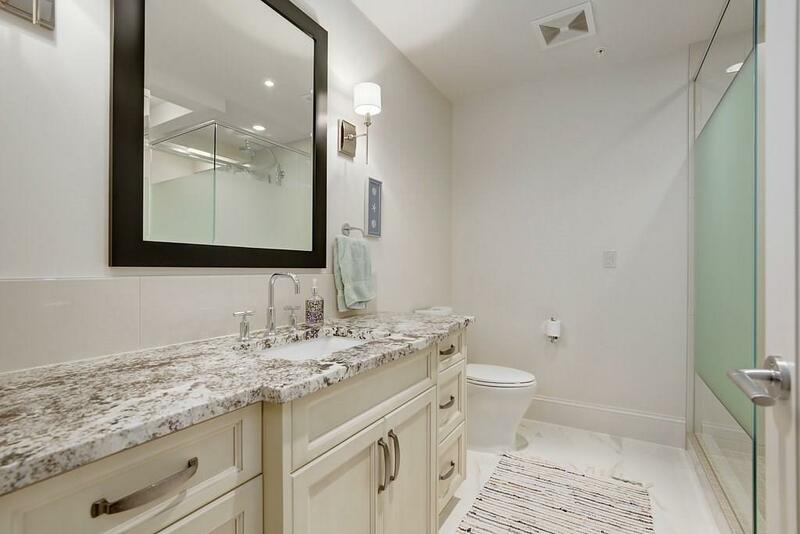 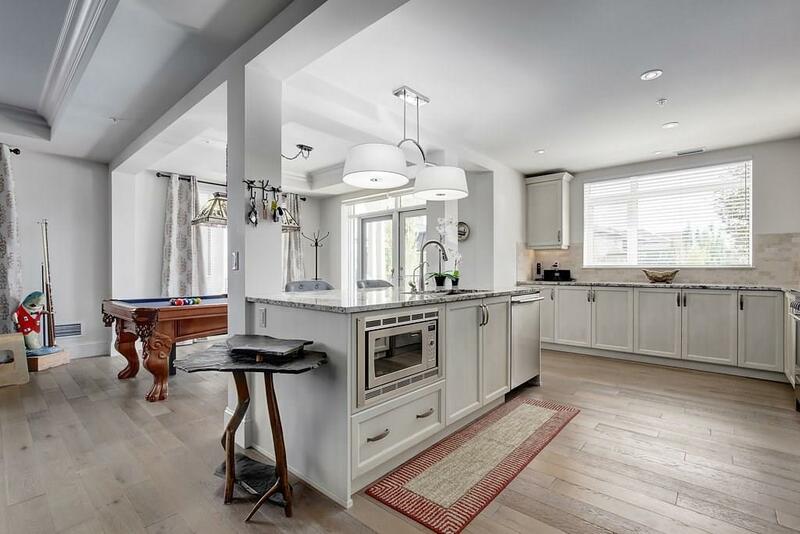 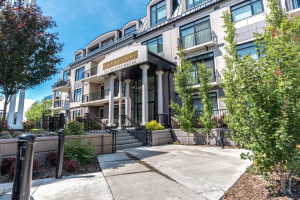 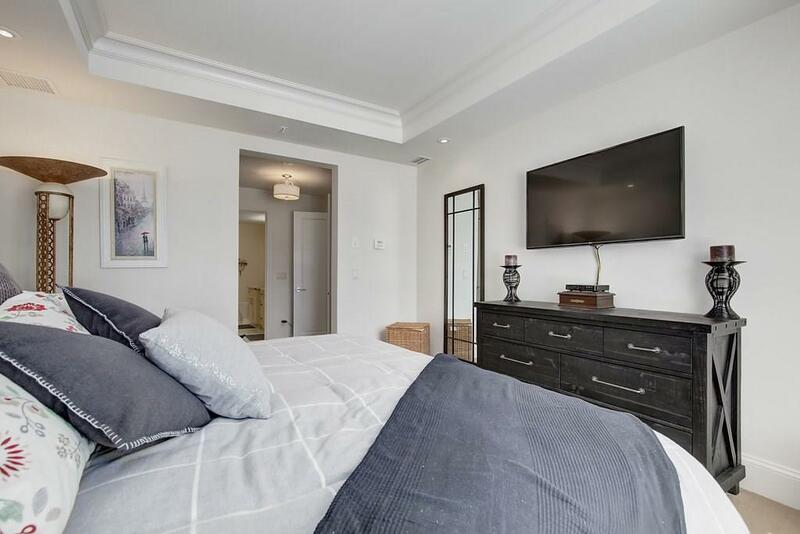 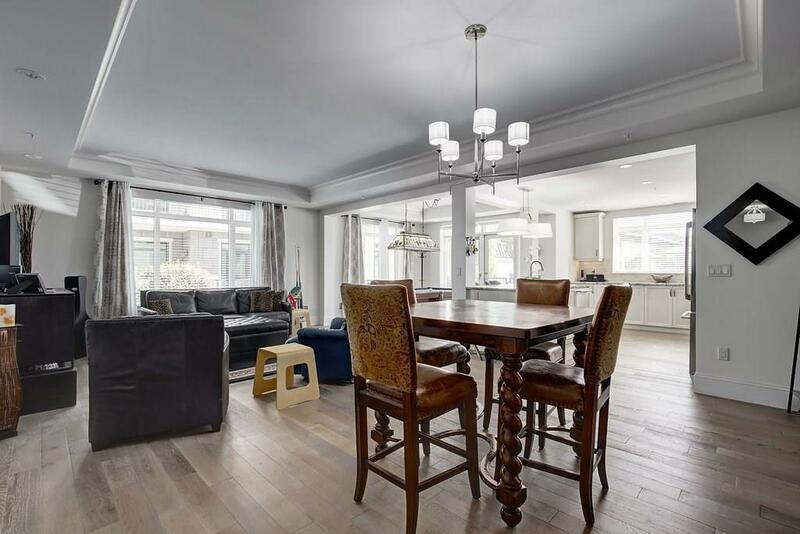 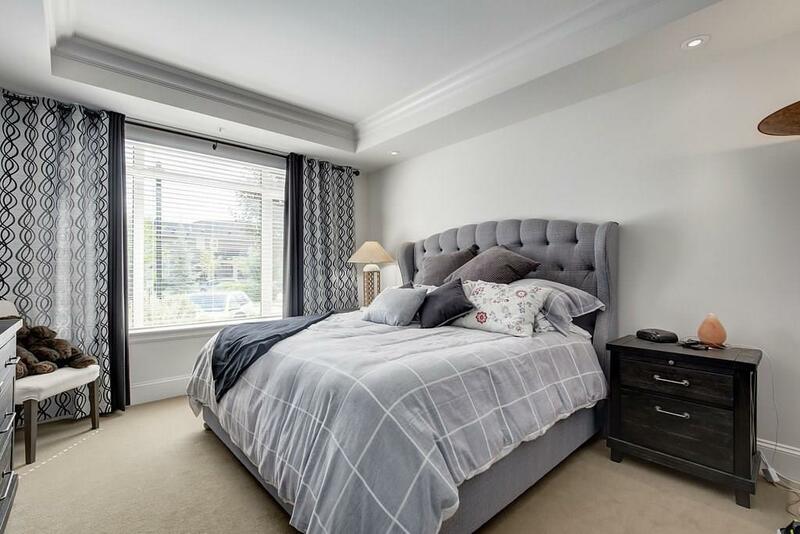 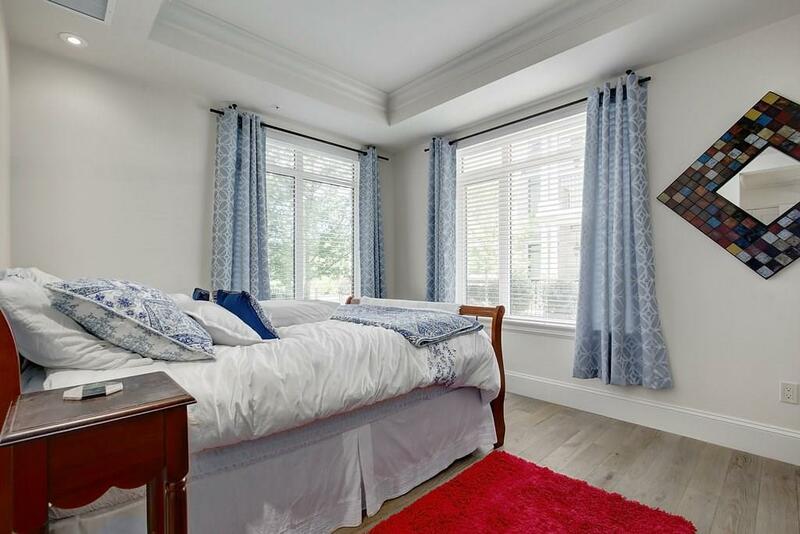 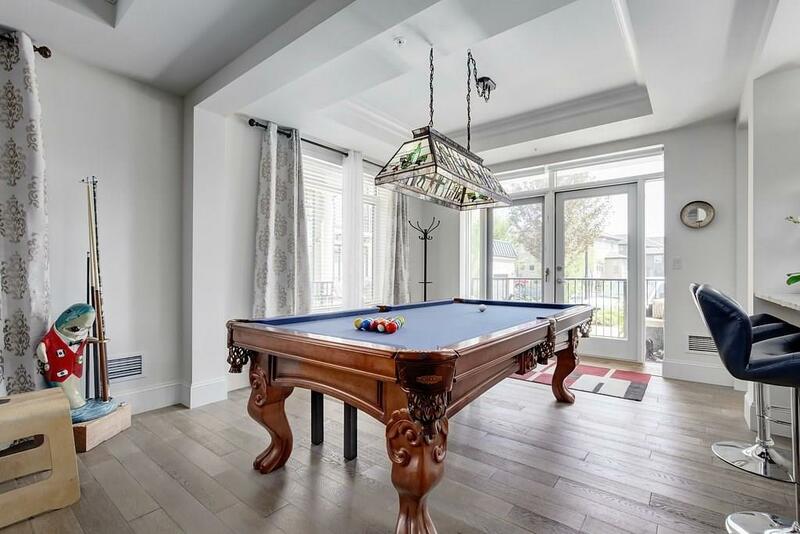 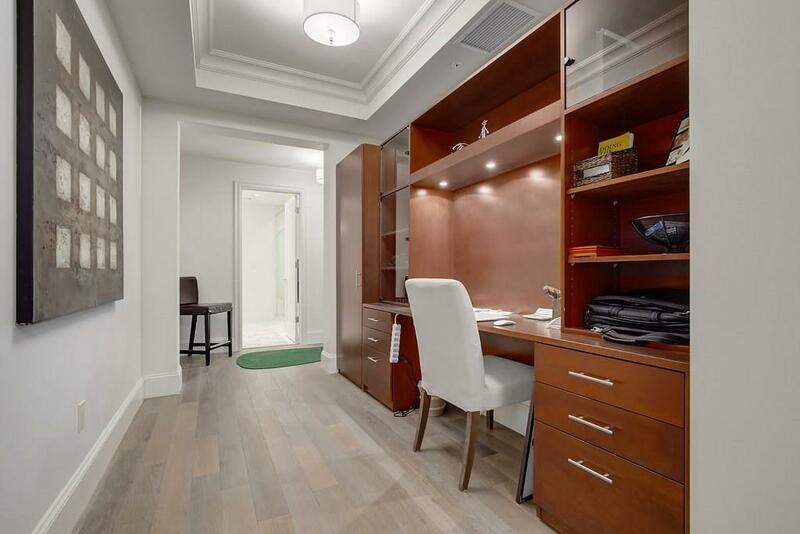 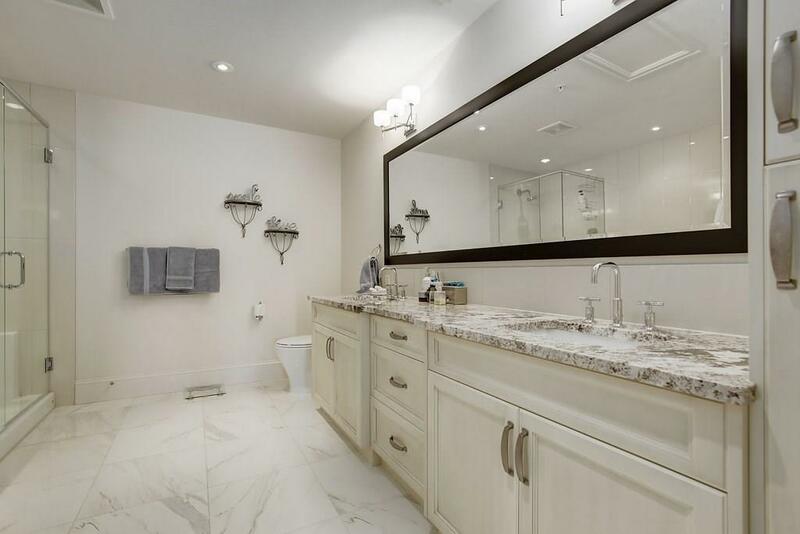 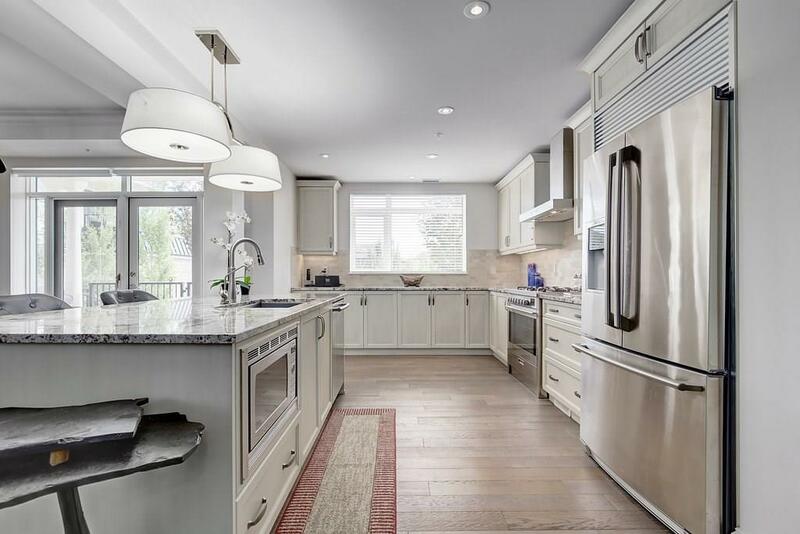 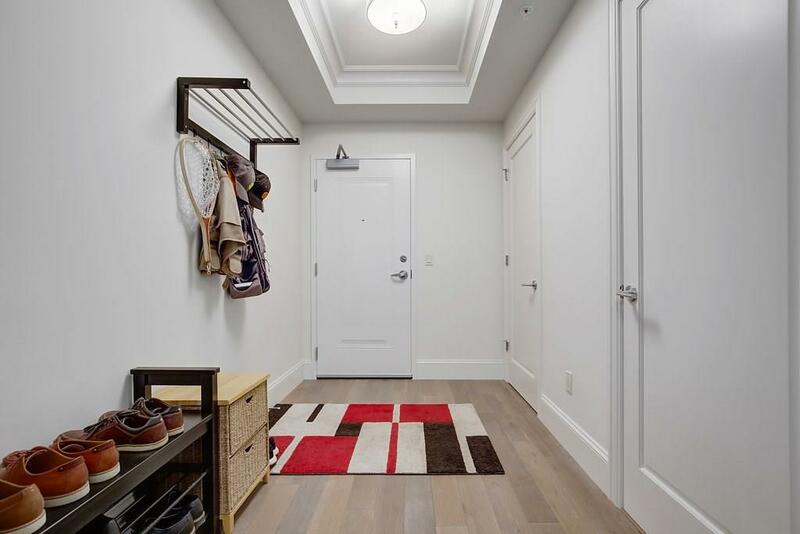 Inside you'll immediately notice the attention to design with recessed ceilings, engineered hardwood/ marble floors, custom built in office & professional gourmet kitchen. 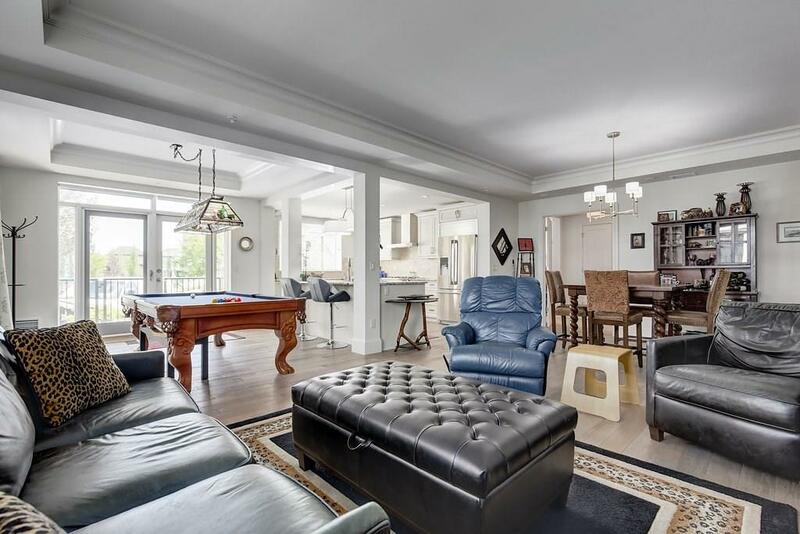 The main living space is open concept but has 4 appointed living areas. 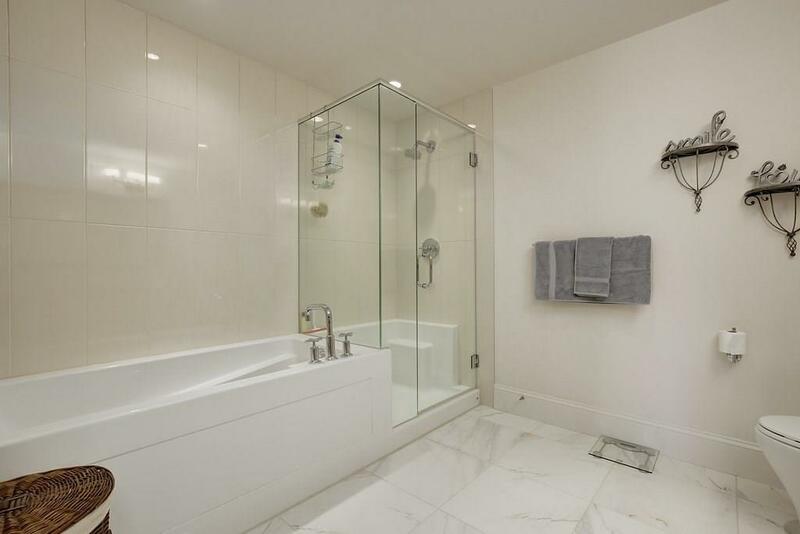 In addition you'll find two master bedrooms which boast spa inspired en-suites. 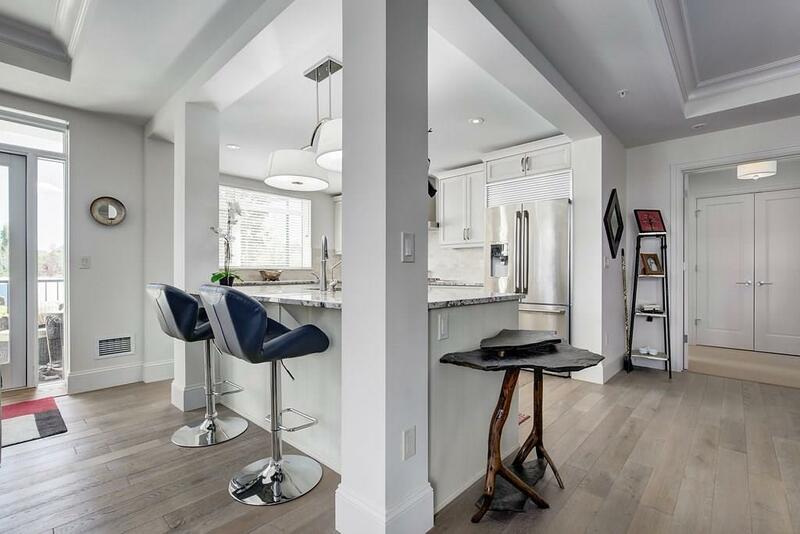 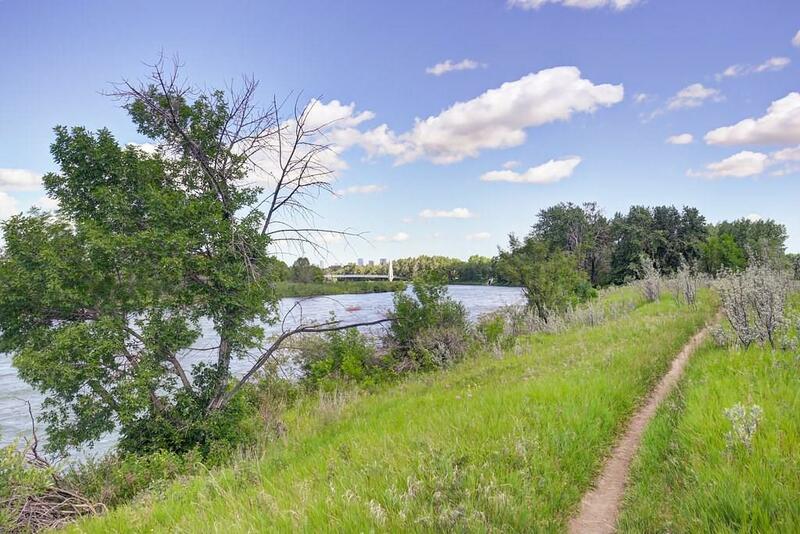 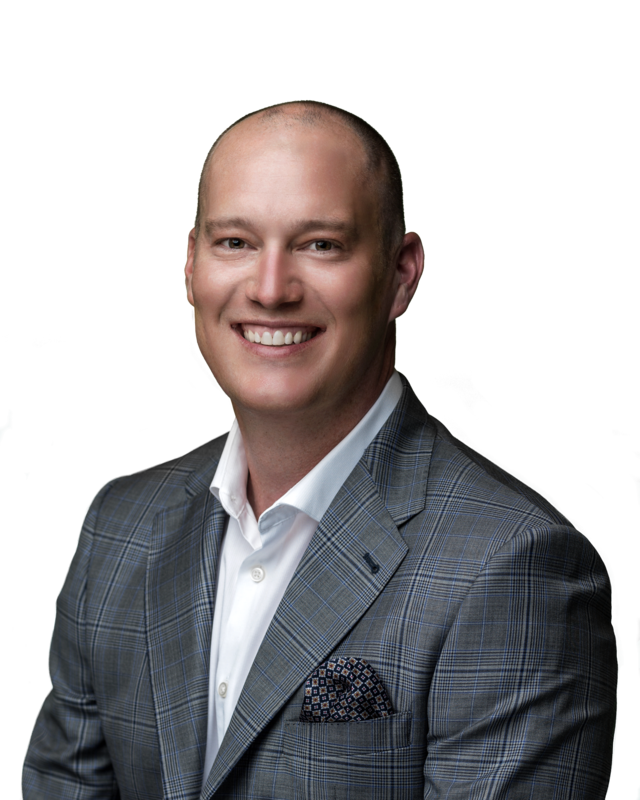 Outside this home is featured by a 15'4" x 6'10" private fenced patio that is literally around the corner from Fish Creek park & the bow river. 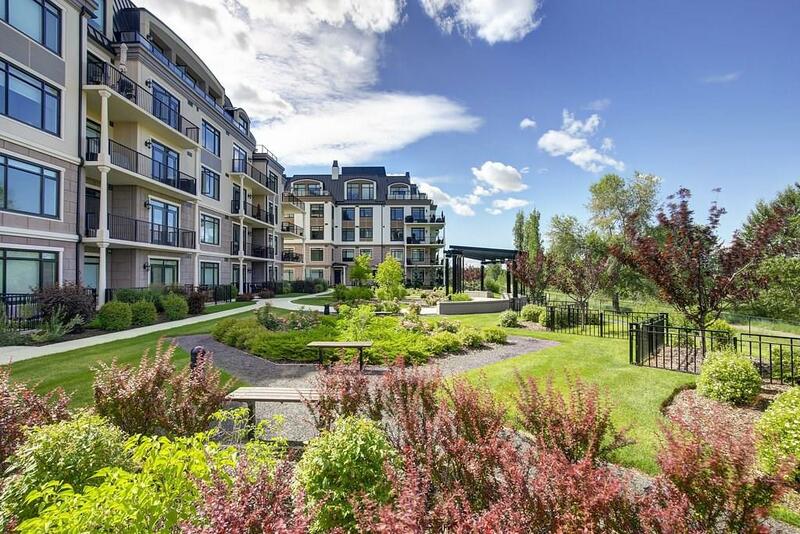 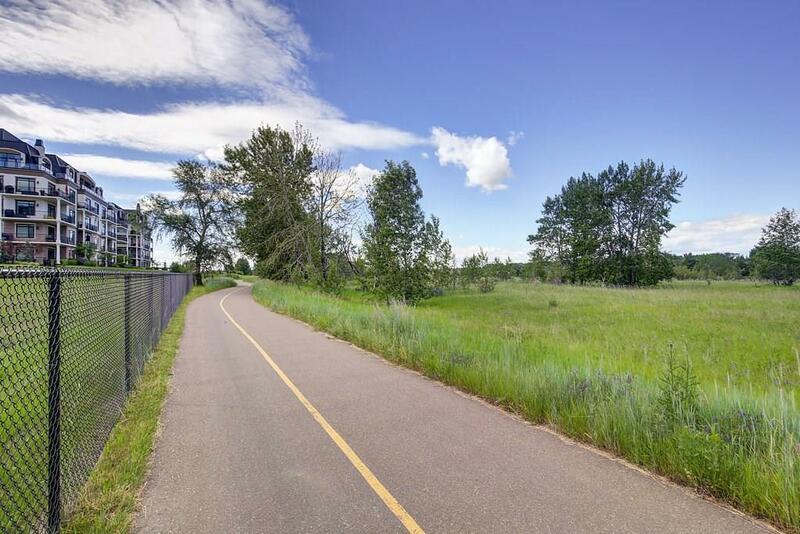 Quarry Park is strategically designed to work, live and play. 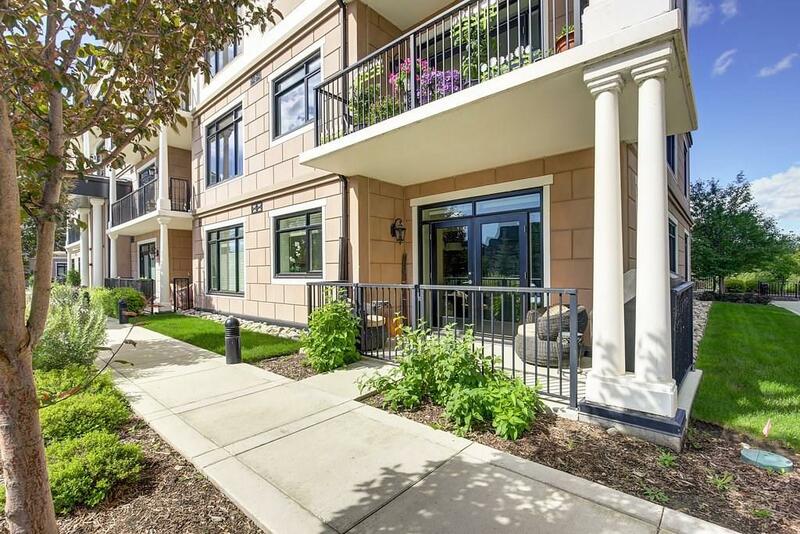 Surrounded by green space and virtually everything you need to make life easy!